Women On Board is a foundation set up by Tilia Rose Swim to encourage women in sport and promote a diverse range of role models. We want to aid the way women are seen in sport and bring a diverse range of athletes to the spotlight creating a more valued set of role models than the ones women currently look up to. We do this in a number of ways but mostly by increasing their media coverage and choosing models on their talents and not just their looks. We want to help regulate what young girls see in the media by adding warnings to social media photos and making it a law to say if the photo has been photo shopped or tampered with in any other way than a filter. Fifty-six girls in the age group 15-19 killed themselves last year (2017), the highest number since records began in 1981. This is very scary and needs to be taken more seriously. There are currently no regulations on what young girls can get access to in terms of edited photos and editing programs. All body types however big or small are beautiful and less focus needs to be put on body extremes and more on ‘normal’ bodies. We feel women are more powerful together by building each other up and supporting one another. Pressure by social media and news outlets is put on women by comparing their outfits, bodies and career titles, its very easy to be swept up in this current of hating others. Here we love to promote caring comments and understanding the power social media can have on someones mental health. Go to out blog article ‘how to social the right way’ if you are in need of some guidance. We are very excited to be working with TJ’s Surf Shop in Polzeath Cornwall to create a FREE women’s event on May the 10th. This is a chance for you to meet like-minded women and be inspired by each other. The evening will contain everything from a Surfers Against Swedage talk to a QnA with a British surfer. There will be free food and drinks (we are talking beer, coconut rum and prosecco!) as well as an awesome raffle with prizes including free T-shirts, swimmers and surfboard accessories with all the money going to our selected charities. 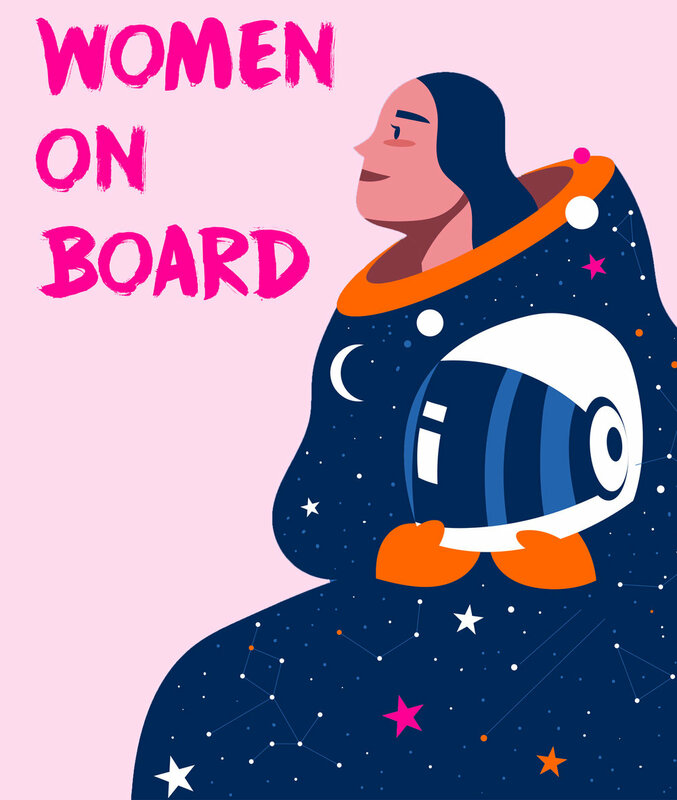 To read more about these charities go to our Women On Board page. We have goals to fund our own projects in the future but currently we are putting 100% of the money donated to 2 different charities. These will change now and then until we have our own funds. 20% of our profits made on each piece of swimwear goes to the charities we have chosen. We have many ideas of how we want to improve the lives of young women, there are so many issues that can be touched on however we would for now like to focus on a few. Being a sports brand we want to promote women in sport and help give women the confidence to try something new. So many women don’t try a sport as they feel intimidated or anxious to do so. At Tilia Rose Swim we want you to know its okay to feel these things and that everyone has to start somewhere. This is why we have plans to run our own women only camps full of sports to try. We want to also help fund women only surf events and skate events as we know the power these sports can have on your mental well-being. A huge aim would be to set up these day camps to help get women out of depression, anxiety or even extremes like domestic violence and prostitution. Here at Tilia Rose Swim we believe to solve a problem you need to tackle to roots so what better way to help women gain a voice and improve their lives than giving them an education. One Girl is an amazing charity that helps proved girls in Africa with an education. Here are some of their amazing statistics to help you understand how important their work is. Girls with 8 years of education are 4 times less likely to be married as children. For every year a girl stays in school, her income will increase by at least 10-20%. Each extra year of a mother’s education reduces the probability of infant mortality by 5% to 10%. Educated mothers pass on their education and are more than twice as likely to send their children to school. Currently every time you buy an item from Tilia Rose Swim 10% of the profits will be donated to One Girl. Find the hashtag #BeAGameChanger to connect with other females changing the way the world sees women’s sports or the hashtag #ManOnside to change attitudes & behaviour towards women and girls in sport. Currently every time you buy an item from Tilia Rose Swim 10% of the profits will be donated to Women’s Sport Trust.